The Coding and Robotics Kit lets you be creative with technology. By making inventions you tell your own story in a new way, and learn a ton of new skills in the process. The perfect companion in the maker classroom. Create an active environment for learners on all skill levels. Let the materials you already have come to life! 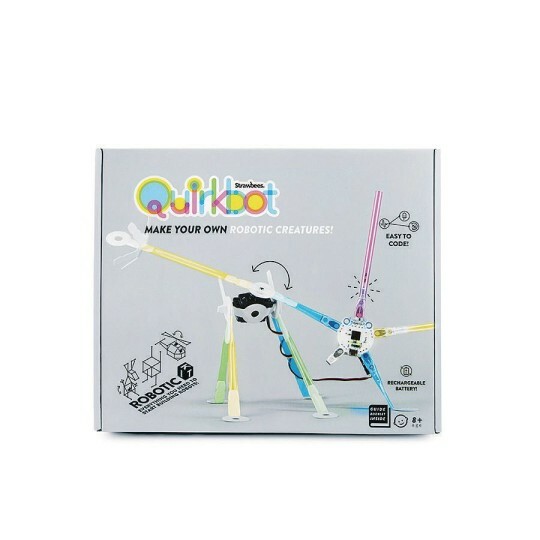 Quirkbot CODE is a simple, creative tool for the whole STEAM field. Programming physical things creates a quick learning curve and engaging results. It’s Open and Web-based, so learners can share and experiment. The Coding and Robotics Kit has everything you need to get started.